In conversation with Mr. Robin Barratt, Ghost Writer and Co-founder of the Bahrain Writer’s Circle. 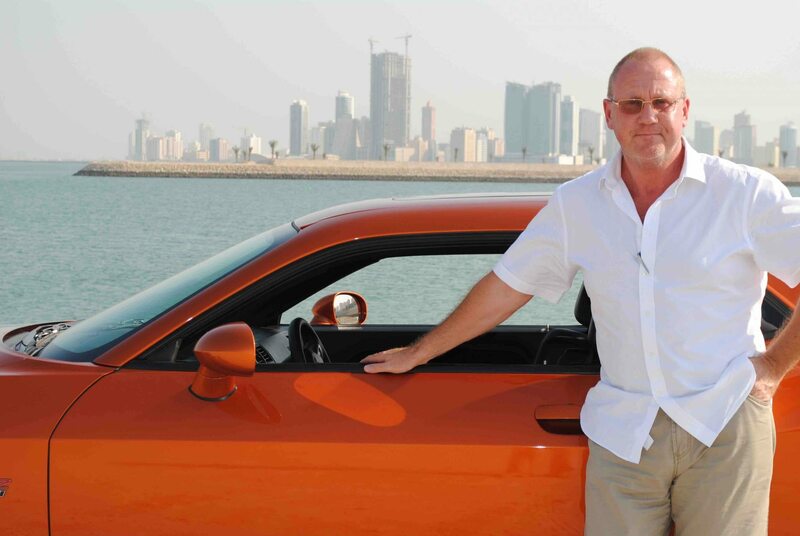 Renowned writer, author and publisher, Mr. Robin Barratt, has been part of Bahrain’s literary world for over 4 years. Currently based in Spain, M. Barratt shared with BTW his take on life in Bahrain and the start-up close to his heart, the Bahrain Writers’ Circle. How was the experience being ghost writer for Ms Saffia Abdulla Kanoo? Was this your first time being a ghost writer? Saffia Abdulla Kanoo, daughter of the late Adbulla Ali Kanoo, attended the book launch of My Beautiful Bahrain, an anthology of stories and poetry from lots of different writers about life and living in the Kingdom. A few days later she contacted me with a proposal to work on a book about her late father Abdulla. She wanted the book to work out as a tribute to his memories, by everyone who knew him or has worked with him. So I spent six months with the family, interviewing them and talking to them and then putting all those memoirs together into a book. It is a beautiful book, a real tribute to a man who helped build YBA Kanoo to its influential status today as one of the biggest merchant families across the Middle East. It was such an honour, and so interesting to meet different people and to listen to their stories of late Mr. Abdulla. It was my first time on such a project, and it was really enjoyable too. I have since had a couple of enquiries from other prestigious families in Bahrain wanting a similar book, but nothing definite, which is a shame as these tribute books are such a great way of honouring a person and the work they have done. What motivated you to begin Bahrain Writer’s Circle? As a writer and author, it is always really interesting to meet other people in the same league, and listen to their stories and journey to getting their work published. So, wondering if I could connect with other writers on the island, I decided to form a small group of like-minded souls who could meet once a month and discuss the world in which we all live. It was simply meant as a small social gathering over coffee somewhere, but in a few months it became apparent that the BWC was going to become much more than that – there were in fact many writers on the island who, like me, also wanted to meet and interact with others. The highest attendance to one monthly meeting was 62 people! That’s a lot of other writers. What makes BWC different from other writers’ guilds in the Kingdom? I think, and hope, that the BWC is different in a number of very important ways. Firstly, it accepts membership from anyone, from a #1 best-selling author to someone who has never written a word, yet aspires to write. It doesn’t matter what you have written, it only matters that you want to write. Secondly, we are not country or nationality specific, as many other writers’ groups are; our membership is open to anyone, from anywhere in the world. Thirdly, we regularly have guest speakers which, over the years, have included authors, journalists, editors, bloggers, freelance writers, academics, poets, motivational speakers and networkers. Fourthly, we don’t critique anyone’s work, we just inspire and motivate, no matter what the standard. And lastly our mission is to promote Bahrain based writers globally, and we have done this in some pretty significant ways including publishing My Beautiful Bahrain, and More of My Beautiful Bahrain; both books are available via Amazon for next day delivery to many, many countries worldwide – I don’t think there are any other writers’ groups that have accomplished such a thing! I have also published books written by a number of BWC members, which are also available on Kindle and as paperbacks worldwide. Also, we are shortly publishing as a paperback and on Kindle; Poetic Bahrain, A collection of contemporary poetry about the Kingdom of Bahrain, and, on top of all of this, the poetry wing of the BWC – The Second Circle – runs the prestigious Colours of Life Poetry festival. We have done a lot, but there is still so much more to do! How much do you think can BWC influence the society of Bahrain? Bahrain is tiny, and for writers from the island getting noticed on the worldwide platform is a real challenge and many writers have given up in between. Not only that, the only option a writer in Bahrain has got to get published is to self-publish, so if he or she hasn’t got the money, his or her words will never get read. This is just terrible! Also, a book published in Bahrain, even with an ISBN number, is virtually impossible to buy in other countries. But, because, as a publisher, I publish in the UK, US and across the EU, writers have a much wider and more accessible platform to be heard. This could become a major influence for writers and of course for Bahrain too! And by being able to offer these facilities, writers are less likely to give up, and are more likely to be motivated to continue to write, as it becomes possible to be heard and read. ‘My beautiful Bahrain’ and now ‘More of My beautiful Bahrain’. Looks like you have fallen in love with this island nation. Yes, I really love Bahrain but isn’t it ironic that having done so much for the island, both promoting the island as well as its writers with My Beautiful Bahrain, More of My beautiful Bahrain, Poetic Bahrain and the book for Saffia Kanoo, I had to leave because I couldn’t find enough work to keep me there! But I would return any instant. I have lived in many places, and have travelled to many, many more, but Bahrain is by far one of the very best places I have ever stayed in. It isn’t just aesthetically beautiful, but I somehow found beauty in its people and how they treat each other, their kindness and friendliness and willingness to help. There is little ‘attitude’ or intimidation, as there is in the West, everything is laid-back and casual and I love it. Maybe another family will ask me to do a book for them and I can return one day to finally settle down in this lovely little Kingdom!